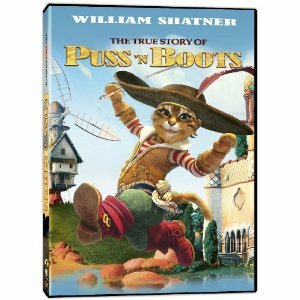 The True Story of Puss 'n Boots features the talented and loved Emmy and Golden Globe winner William Shatner as the voice of Puss. The True Story of Puss 'n Boots from Phase 4 Films, is an animated movie based on the classic children's story Puss ‘N Boots by Charles Perrault. The True Story of Puss 'n Boots is about a young farmer's son who inherits a strange talking cat with magical boots. With his cunning wit, Puss helps him win the heart of the Princess while battling devious suitors that are after the throne. Sadly, this movie didn't rate well with my family, especially my children. Within the first 5 minutes, my kids were telling me how "weird and strange" it was. After about 15 minutes they both decided that they didn't like it and weren't going to watch the rest of it. This isn't the Puss 'n Boots that I grew up with and loved as a child. I will say that some of the music and scenes were fun but I wouldn't recommend this movie to anyone. One thing that I love about fall and winter is pulling my sweatshirts, sweatpants and sweaters out of the shed. There's nothing quite like being able to wear warm and comfortable clothes all day long. Soft on the outside, warm and fuzzy on the inside is how my son loves his sweatpants. Aeropostale has a great selection of boys sweatpants, as well as the entire family. Including solid colors, graphic and athletic for a fit and style that are perfect for everyone. Aeropostale sweatpants come in a wide range of classic colors and sizes ranging from extra small to 3XL! No matter what your size or style, you are sure to find the perfect pair for yourself and everyone on your holiday shopping list! If you shop now, you can save 50 - 70% on just about everything they have to offer. Right now boys sweatpants are currently 50% off making it the perfect time to stock up! 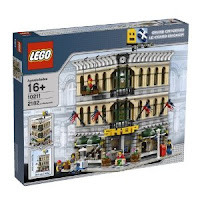 In addition, they are offering FREE SHIPPING on orders over $100. 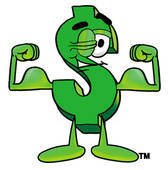 With the holidays right around the corner, we could all use a little extra cash in our pockets! Enter to WIN $80 CASH just in time for holiday shopping!! I want to thank everyone who entered my Kidorable Umbrella Giveaway. I would also like to thank the giveaway sponsor for providing this great giveaway for my readers. For every child, Santa is one of those magical memories that make the Christmas season so much fun. Do you remember how excited you were as a child to see Santa in the mall? Or to lay awake in bed on Christmas Eve, hoping to hear his bells or maybe get a glimpse of him in your living room? What could be more magical this Christmas than to receive a letter from Santa? This is the time of year when I enjoy watching the magic of the holiday season through the eyes of my children. They see everything differently and I cherish being able to see the excitement on their faces. Scrolls from Santa is the perfect way to bring the magic of Santa to any child and put a smile on their face this Christmas! My daughter will be 8 years old in January and is asking too many Santa questions this year. I know that this will be the last year of complete, innocent Christmas magic, so I'm doing everything possible to make those memories extra special this year! 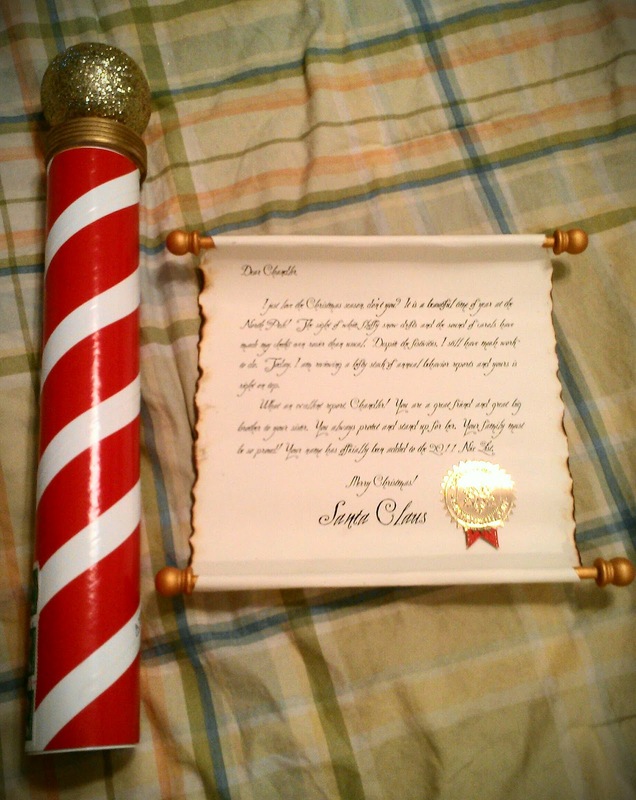 Scrolls from Santa aren't like any other letter from Santa you've seen over the years! They are personalized, handmade letters from Santa on unique, parchment scroll paper, complete with burnt edges! They are also shipped directly from the North Pole, just look at the stamps and postmark! The North Pole, Silver Bell and You're Snow Naughty packages are discreetly shipped inside a cardboard box in order to prevent damage to the package and ornament! I couldn't believe how cute and durable they were - way more than I had anticipated! Scrolls from Santa are available for the Naughty & Nice! They also carry a great selection of extras and stocking stuffers including, Christmas glasses, lumps of coal, insta-snow powder, lumps of coal, Rudolph silly bands and reindeer collars! Each letter from Santa is beautifully detailed with details that only Santa would know, complete with calligraphic label and hand-writing. Each one has an official "Desk of S. Claus" gold seal sticker at the bottom of the letter. I love how the paper has burnt edges, they look like a letter from history - perfect for Santa! Everything about Scrolls from Santa was highly impressive, they are simply MAGICAL in every possible way. WOW! Just in time for your holiday shopping, perfect timing! 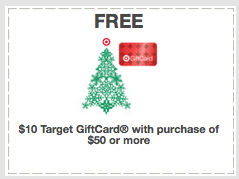 There is a great printable Target coupon available right now at Target.com – Spend $50, Get a $10 Target gift card. I wish this had been available on Monday, I spent $53 that day at Target. Oh well, this gives me an excuse to go again! This coupon expires 12/3/11, and it limits one coupon per guest and transaction. This printable coupon won't last long, so print yours now! Rio tells the story of Blu (Jesse Eisenberg), a Spix Macaw who is captured from his native homelands of Brazil at a young age to be domesticated thousand of miles away with his human owner Linda. His new owner soon discovers that he is the last male of his kind, and with that , the two head south to Rio de Janeiro to meet Blu's new mate. However, it is nowhere near close to love at first sight between the socially awkward, flight challenged Blu and the strong and independent extreme flying female Jewel (Anne Hathaway). 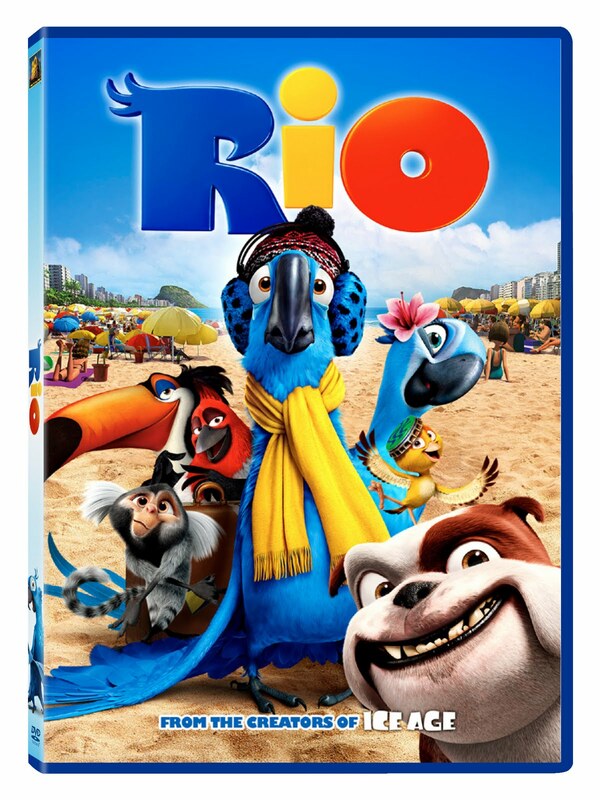 Shortly after Blu's arrival, greedy animal smugglers capture the two rare birds and they soon find themselves helplessly lost in the Brazilian rainforest. Unexpectedly thrown together they embark on a hysterical and endearing adventure where they learn about friendship, love, courage and spreading ones wings to fly. Based on the novel, Love Finds a Home, discover how Janette Oke’s touching “Love Comes Softly” series began in LOVE BEGINS, arrived on DVD November 22 from Twentieth Century Fox Home Entertainment. After their father passes away, Ellen Barlow (Julie Mond) and her sister Cassie (Abigail Mavity) struggle to maintain their family’s farm. When Clark Davis (Wes Brown) finds trouble in their town on his way to California, Ellen agrees to hire him at the farm to work off his debts. Before long, Clark and Ellen unexpectedly develop feelings for each other. Ultimately, the pair begins a legacy of love and faith together in this heartwarming family drama. Whether you're an advertiser or a publisher it's essential to get your name out there so you're being noticed! Proper exposure can make or break you in today's tough and competitive business world. Being creative can give you the edge that you need to succeed and surpass your goals. Imagine the possibilities that would open up to you if you had the perfect traffic source that was customized to fit your specific needs. BizzClick LLP is a Pay Per Click agency that offer its clients an opportunity to advertise within their vast network and monetize traffic. They have a helpful and professional support team that is available 24/7. In addition, they provide a personal manager for each client and a great variety of tools for creating the perfect advertising campaign! They also provide one of the fastest XML feeds in industry. The feature that I think is very helpful is their top keyword tool. As a blogger, I know how crucial proper keyword use is and this useful tool is the perfect resource. Breast cancer is impacting the lives of people everywhere, whether you're a cancer survivor, patient, friend or family member - the impact can be devastating. Some people may think that breast cancer only affect women, but that's not the case at all. 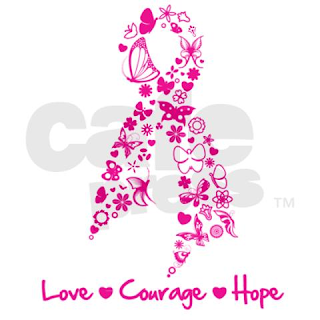 Breast cancer can affect both men and women in addition to their friends and loved ones. Did you know that breast cancer is the most common cancer in women and 1 in 8 women will be diagnosed with cancer of the breast during their lifetime? Several years ago my husband and I were in the market for a new vacuum cleaner. We shopped around while we compared prices, quality, durability and reputation. All of our research led us back to the same name... Dyson! Dyson has been the leader in vacuum cleaner sales for nearly 20 years. Now it's been proposed that they will quickly become the market leader in restroom hand dryers as well. The Dyson air blade hand dryer is stylish, innovative and green. It allows businesses to save money while making a positive impact on the environment. Dyson hand dryers save time and energy without the waste of paper towels. I wish my kids elementary school had hand dryers in their restrooms. Children are so messy and wasteful and one of these would eliminate all of that. Oh... the possibilities! Dyson hand dryers would be the perfect addition to an business, especially schools, doctors and hospitals, grocery stores, the Vet's office and even public restrooms. As a very satisfied Dyson customer, my only regret is that I didn't purchase one sooner! 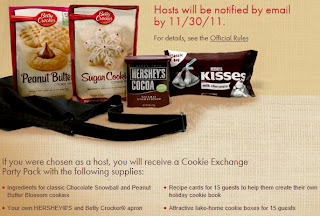 HERSHEY'S and Betty Crocker Cookie Exchange Party - I'm a Host! I remember applying for this last year and was sad when I wasn't chosen. Well... this year I'm so excited because I'm officially a Hershey's & Betty Crocker Cookie Exchange Party Host! It's limited to 1,000 party hosts and I'm super excited to be among those chosen! Congratulations - you were chosen to host one of 1,000 Cookie Exchange Parties sponsored by HERSHEY®'S and Betty Crocker this holiday season! We hope you are looking forward to your party this December. To help you start planning, we're sending you a party pack with all the necessities to throw the ultimate cookie exchange. You can expect your party pack to arrive in the mail in the next few weeks. Are you a new company looking to build your client base? Are you a well-developed business that would like to expand your reach beyond your current loyal customers? In the current face-paced society, search engine marketing is becoming a necessity! Whether we like it or not, the internet has changed the way we do just about everything. Did you know that the majority of customers make the decision where to take their business by what they see first? Simply put, if your business isn't at the top of the list in the local search engine news, your business isn't operating at its full potential. This will result in fewer clients and less income. RevLocal is a local search optimization company that has been in the internet business for over 17 years. They safely provide the essentials for helping move your small or mid-sized business to the top, from internet access to web hosting and the all important SEO! As a blogger, I've quickly learned that keywords and exposure mean everything! It's crucial to stay current, up-to-date and on top of the latest technology features available. Have a party or special event coming up soon? Would you like to promote your business or your blog? Don't miss your chance to WIN 50 Brochures that you get to personalize and customize! I've had the pleasure of receiving a few different products from UPrinting and I have had great experiences. Their print quality, customer service and shipping turn-around time is excellent! Have you heard the buzz? The toys are back in town! That's right, Disney on Ice is coming to the Spokane Arena! We went last year and it was simply AMAZING! I can't wait to surprise the kids again this year by taking them to see Toy Story 3! I've been keeping this a secret from my two children for over a month now and it's been very difficult but I know it's going to be so worth it! Disney On Ice presents Disney • Pixar’s Toy Story 3! The blockbuster movie, Toy Story 3, and memorable moments from Toy Story and Toy Story 2 are hitting the ice in this sensational live production coming to your hometown! Catch all the heroic action when Buzz Lightyear, Woody, Jessie and the Toy Story gang escape from the rambunctious tots of Sunnyside Daycare and race for home, in their most daring adventure ever! A few new faces join the fun, including Barbie’s groovy bachelor Ken and Lots‐o’‐Huggin’ Bear. 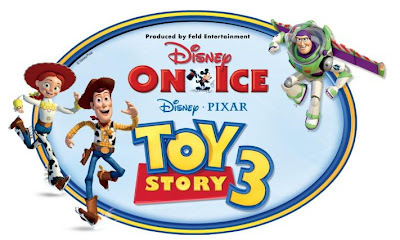 It’s the biggest Toy Story experience on ice, jampacked with fast‐paced adventure such as Buzz’s galactic battle with Emperor Zurg and a hoe‐down at Woody’s Roundup. Rediscover the humor, friendship and charm of Toy Story when Disney On Ice presents Disney • Pixar’s Toy Story 3 takes family fun to infinity and beyond! Have you ever thought to yourself that it would be fun to eat bubbly brains, zombie skin and a barf filled beverage? Come on, be honest! I have two children, a son and a daughter, and my daughter is always the one getting dirty and not afraid to try anything! The Doctor Dreadful Zombie Lab is perfect for any child that loves to experiment and try new things! Not only do they get to experiment and create sweet treats - they also get to eat their creations! From bubbling brains and zombie skin to eyeball bugs and zombie barf! In fact, you get to eat everything you make! We took this as the perfect family afternoon activity and we had a great time! Lots of laughs, funny faces and Ewww's and even a few Yum's! I'll be honest and tell you that I'm easily grossed out and I thought the Doctor Dreadful Zombie Lab was quite creepy! Even though I knew it wasn't the "real thing," I had a hard time choking down the zombie brain barf! Just the thought of it made me queasy and the texture took it over the top! It tasted good but the texture was like a big slimy gob of snot! ICK! The consensus was the same from all of us, it tasted really good but the texture was just too much to handle! It felt like swallowing a big ball of slime! The insects, spiders and zombie skin were all quite good! They tasted like very sweet jello! The zombie skin and insects were our favorite - it was almost like the perfect combination between jello and fruit snacks! The bubbling zombie brains tasted like a super sweet fruit punch. Add a little bit of Sprite and ice cream for the perfect party punch! Simply put... Disturbing, Disgusting and mostly Delicious! It's perfect for kids because it's everything they love - fun and gross. 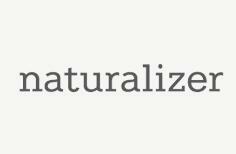 I want to thank everyone who entered my Naturalizer Shoes Gift Card Giveaway. I would also like to thank the giveaway sponsor for providing this great giveaway for my readers. I want to thank everyone who entered my $20 VISA Gift Card Giveaway. I would also like to thank the giveaway sponsor for providing this great giveaway for my readers. Just in time for the holidays, enjoy Jim Carrey (A Christmas Carol) in MR. POPPER’S PENGUINS, on Blu-ray, DVD and digital download on December 6th from Twentieth Century Fox Home Entertainment. 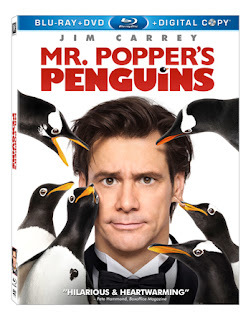 The whole family will be full of laughs watching Mr. Popper, a driven businessman who is clueless when it comes to the important things in life until he inherits six, “adorable” and mischievous penguins. 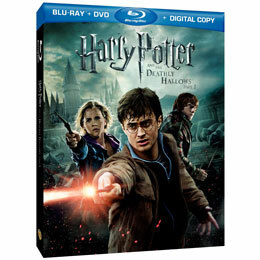 Debuting on Blu-ray, DVD and Digital Download December 6! As Mr. Popper quickly gets acquainted with – and increasingly attached to – his winged roommates, his life quickly unravels: the deal he’s long been working on with a formidable socialiate, Mrs. Van Gundy, played by the acclaimed Angela Lansbury (Murder She Wrote, Beauty and the Beast), is derailed and Popper almost lands in jail. While Popper’s penguins turn his swank New York apartment into a snowy winter wonderland - they teach him valuable lessons about family- human and otherwise! MR. POPPER’S PENGUINS is based on a novel, originally published in 1938, written by the husband and wife team of Richard and Florence Atwater. Awarded the Newbery Medal in 1939,Mr. Popper’s Penguins became a classic through generations, and is a staple on elementary school shelves to this day. The Blu-ray and DVD bonus feature “The Legacy of Mr. Popper’s Penguins” highlights literary experts and family of Richard and Florence Atwater telling the fascinating story behind the story. I just went to submit my winners information and the winners submission link isn't in my Sparks. YIKES! When I submitted my blog post link a few weeks ago, all of the information was there and now NOTHING is there! Does the information "expire?" If so, I had no idea! Chocolate is my weakness. 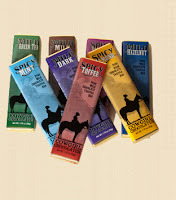 I was recently lucky enough to receive a variety of the NEW chocolate truffle bars from Cowgirl Chocolates. They are available in 8 delicious flavors from mild to spicy or a combination of both to satisfy even the most sensitive and complicated taste buds! To my surprise, I had chocolate in my mailbox the very next day. How's that for quick service? Granted, I only live about 1 1/2 hours away from the Cowgirl Chocolates riding arena. But the fact that they are so quick to package and ship their tasty chocolates is highly impressive. The first thing I noticed about my chocolates was their cute packaging. Bold, colorful and eye-catching! 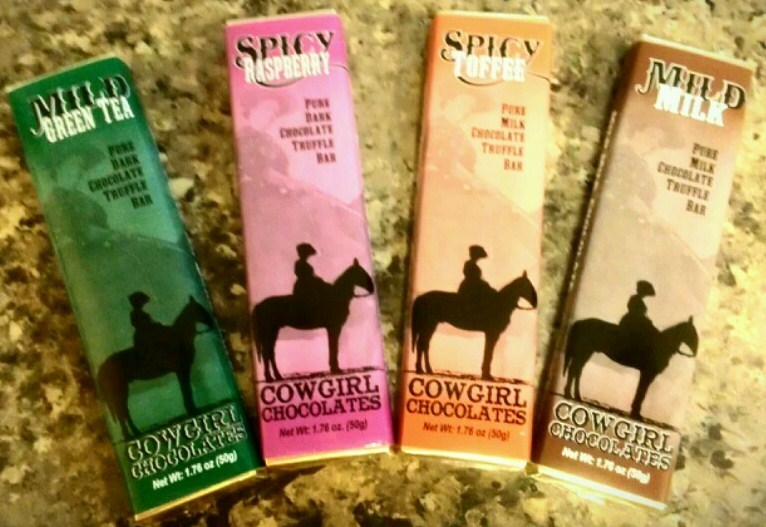 Cowgirl Chocolates will give your taste buds a kick! They come in several mouth-watering flavors; including mild and spicy flavors. From chocolate truffle bars (what I got to sample) to caramels to candy bars to gift baskets! They were all amazing delicious, even the spicy ones. I'm not a "spicy" kind of girl, but I was pleasantly surprised by the spicy chocolate truffle bars. A little bit of spice and the perfect amount of sweet! It's a toss up, but I think the spicy toffee was my favorite. Cowgirl Chocolates has won a total of 19 product awards and 2 packaging awards and is located in Moscow, Idaho. Which I happen to think is very cool since I was born, raised and grew up less than 2 hours away - at one point I even lived in Moscow. I want to thank everyone who entered my Doodle Roll Giveaway. I would also like to thank the giveaway sponsor for providing this great giveaway for my readers. I want to thank everyone who entered my Rockboard Scooter Giveaway. I would also like to thank the giveaway sponsor for providing this great giveaway for my readers. I want to thank everyone who entered my Tiny Prints Holiday Cards Giveaway. I would also like to thank the giveaway sponsor for providing this great giveaway for my readers. It's always disappointing to give a gift that a child is mesmerized with for 10 minutes, then never plays with again. Or worse, a gift that is never loved at all. It doesn't matter if you are giving toys or socks - the key is to find gifts with lasting play value. Kidorable is perfect for those rainy days or even for those costume and dress-up parties! I love the fact that their products are both functional and fun. As a mom, anything that can function in more ways than one is a bonus in my book. With Christmas right around the corner, the Rockboard Scooter is sure to be on the wish lists of many children this holiday season. 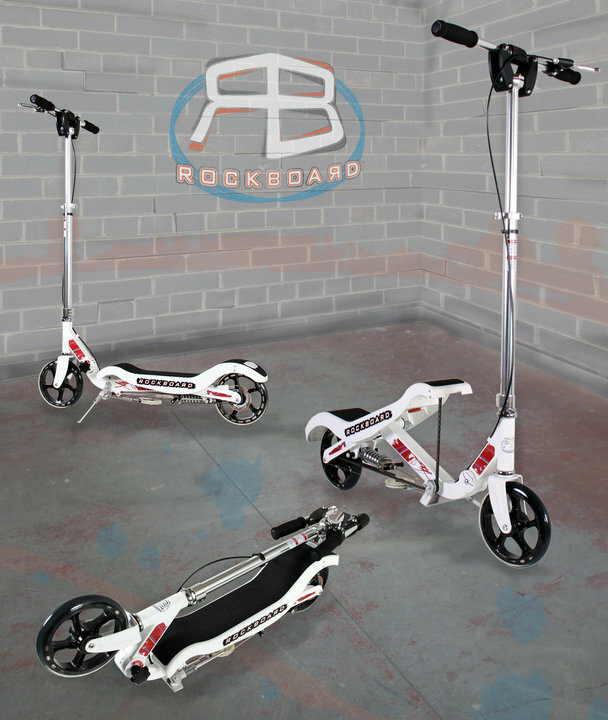 The Rockboard Scooter is sure to be a hit among children of all ages - including adults! That's right, I want one for myself and so does my husband. This Christmas we might become a family of 4 plus 4 Rockboard Scooters! Zumba Fitness 2 for Wii, the sequel to the #1 selling fitness video game of 2011, is on store shelves now and would make the perfect holiday gift! This exclusive video takes you on the set of the making of the sizzling new Zumba Fitness 2 TV spot – and the scene is HOT! Hear straight from the star-studded choreographers and get a front row seat to the high-energy dance-fitness party! This would be a great way to get rid of those extra Thanksgiving dinner calories! May your stuffing be tasty. 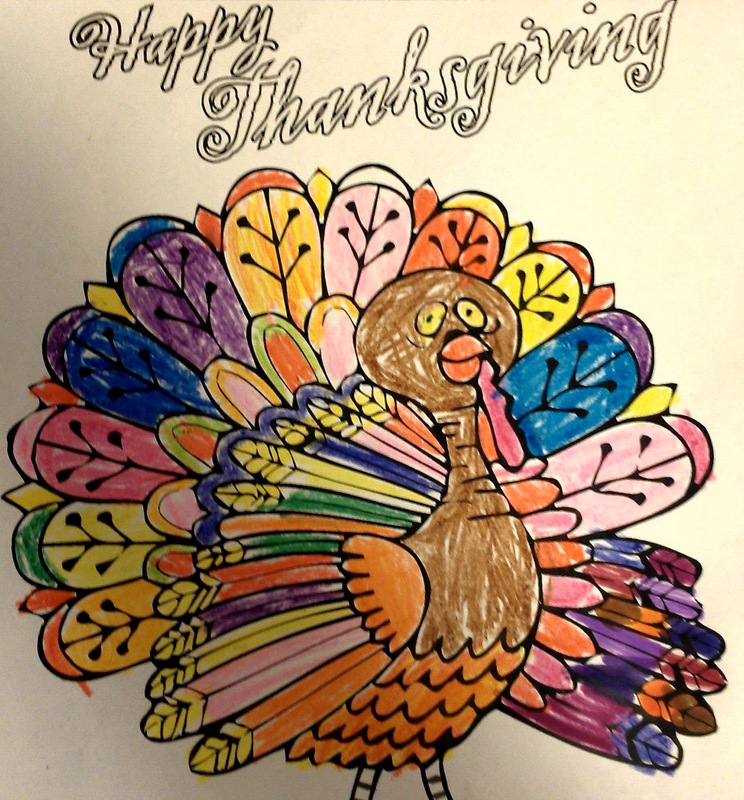 May your turkey be plump. May your potatoes n' gravy have nary a lump. May your yams be delicious. May your pies take the prize. Kick up your heels, and live it up! With Naturalizer shoes on your feet, there’s no need to choose between comfort and style. Naturalizer offers a variety of styles including tall boots, loafers, wedges, pumps, platforms, flats, booties and oxfords. The fall collection from Naturalizer has something for everyone, with feminine details and styles inspired by a range of classic and contemporary trends. My child's safety is the most important thing in my life. My biggest fear is that something will happen to one of them. Even though I take every precaution and do everything that I possibly can to protect them - sometimes there are unforeseen dangers that could be harmful to them. ADT is trying to help us protect our children by offering a FREE Child Safety Kit. This kit includes helpful tips to keep your kids safe during playtime, going to and from school and even protect them from dangers online. This kit includes a fingerprint kit, a magnet and a reflective sticker for playing in the dark. Your kids are important so ensure that they will stay safe by getting this great freebie! I'm so excited to have just gotten another 25 Superpoints win! In addition to this win comes a 25 Superpoints BONUS to one other lucky person who joins. It's only good for one use, so once it's been used it's gone! Today we live in a world of technology and with all of the latest and greatest electronics it's often time hard to keep up. I remember when I was growing up, we didn't have cell phones, iPods, or even laptops. The only computer I ever touched was at school. Today, everyone seems to have all of the newest electronic gadgets, including children under the age of 10. Times sure have changed. The ImTOO YouTube Video Converter is an all-in-one transferring software that makes transferring all your DVD movies, video files, online video clips, music video files, songs, photos and more to your iPad, iPhone, iPod or other portable device quick and easy. You can also backup your files to your computer, laptop or iTunes library. It's also easy to transfer your movies and audio files between all of your devices. You can easily transfer your favorite YouTube videos to your iPod, iPhone, iPad, Apple TV, PSP, PS3, Zune, Xbox, mobile phones or just about any portable device you can think of in just one simple step! This convenient service is available in multiple languages and best of all, you can try the ImToo YouTube Video Converter absolutely FREE! Canvas People is back with an updated Black Friday offer just in time for frugal holiday gift giving! Get one with your favorite photos of Halloween fun, fall colors, graduation, babies, and those special family moments! Canvas People is offering a free 8 x 10 photo canvas (just pay shipping) OR $55 off any size as a special introductory deal! Remember 2 Canvas are always better than 1 and with $55 off + free shipping on larger sizes, you can get the size you want even cheaper! These are really cool if you've never seen them. I ordered 2, one for myself and one for my parents for Christmas! There isn't a parent, grandparent, family member or friend out there that wouldn't LOVE one of these! HURRY! This great offer won't last long! This is a Sponsored post written by me on behalf of Norton Small Business by Symantec for SocialSpark. All opinions are 100% mine. While I'm sure that we can all agree that the resources that are available at our fingertips as part of the great world of internet is an amazing thing, I'm sure that we can also agree that the threat of malware, hackers and viruses are always in the back of our minds. So many of us rely on our internet service for both personal and business use. Did you know that 1 out of every 3 business owners list technology as their biggest priority? And that nearly 60% have also had some sort of malware infection over the past three years? Are you prepared if your computer is attacked? Imagine how your life would be affected if you were to have your identity and financials stolen or compromised. It could take years to clear things up and your credit may never be the same again. Protecting yourself, your family and your business are crucial in today's world. Norton Small Business by Symantec was launched this past September and is the perfect solution to all your internet security needs. I do all of my banking online and having a safe internet connection is one of my top priorities. Be sure to check out all of the great features that Norton has to offer. You have nothing to lose by looking and everything to gain, including peace of mind. You can also get 30% off Norton Small Business Products now. Which Norton product would most benefit you and why? Right before the holidays, who couldn't use a $20 VISA gift card? This great giveaway is sponsored by KidExerciser. KidExerciser’s mission is to improve kids’ health and fitness by providing an easy and fun behavior-based method for increasing activity. Our kid’s fitness product, 123GoTV, uses your child’s own bike as an indoor exerciser that controls the TV feed. Pedal-TV plays. Stop pedaling-TV pauses. KidExerciser is committed to supporting methods for kids to get and stay fit by encouraging healthy behavior in their developing years. I'm so excited to have just gotten another 50 Superpoints win! In addition to this win comes a 50 Superpoints BONUS to one other lucky person who joins. It's only good for one use, so once it's been used it's gone! I'm one of those people who is very organized and everything has its place. Being organized is something that I strive for and it's extremely important that I keep my money saving coupons in order as well. I divide and organize them by expiration date. 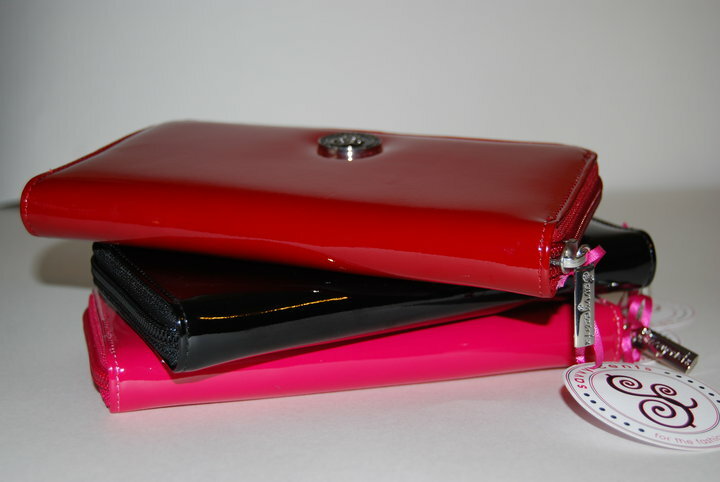 The Savvycents wallet organizer is not only a functional organizer but also durable and fashionable. 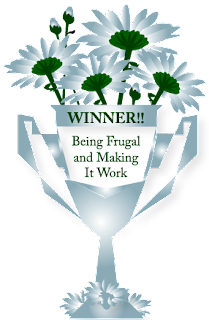 It contains everything you need to organize your monthly or weekly budget using a cash and coupon system. With an accordion style file system inside the wallet organizer you can separate money, coupons, receipts or store discount cards by spending categories. I love this wallet more than any other coupon organizer I've tried. It's the perfect size, durable, functional and very stylish. It is not only the perfect organizer, it doubles as the perfect wallet! Giving me one more way to multi-task. 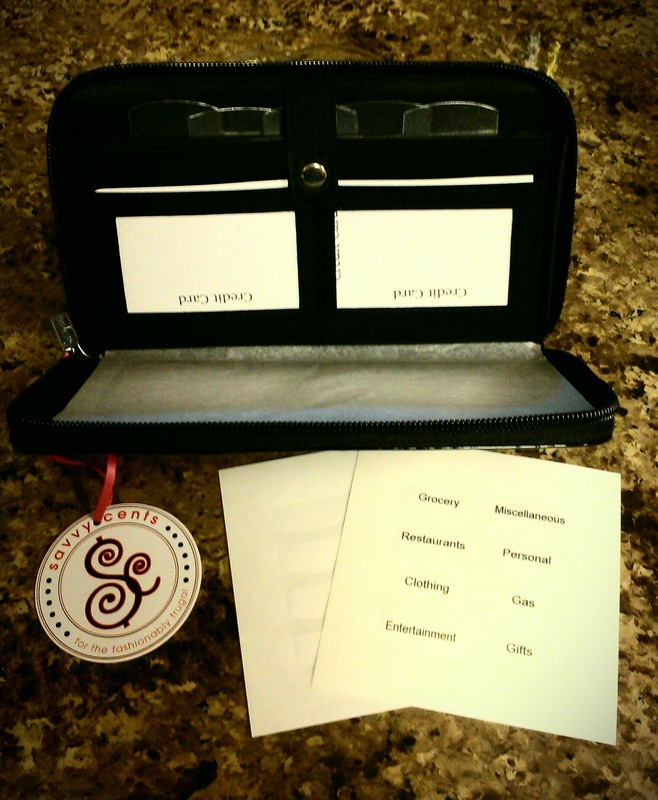 The Savvycents wallet organizer comes with file cards and pre-printed labels so that you can label each category. There are also blank labels that allow you to customize your wallet organizer based on your own personal spending categories. You no longer have to carry envelopes or zip lock bags to separate your money and coupons. Your change will fit nicely in the coin pocket located on the backside of the wallet. It also has 6 pockets for your debit card and store discount cards making them easy to find and at your fingertips. On the opposite side there is a place for your driver’s license and your checkbook. It also comes in three stylish colors: black, red and pink! For the past three years I have done the majority of my Christmas shopping on Amazon. I earn and save my rewards through Swagbucks all year long and then use those credits to make my Amazon.com purchases for my kids Christmas gifts. This year I was able to get 2 high dollar items for $0 out of pocket! I purchased the gifts that Santa will be bringing and saved $300! My kids are going to be so excited on Christmas morning and I can't wait to see their faces when they see what's under the Christmas tree. My daughter is obsessed with LEGOS and my son is obsessed with the Pittsburgh Steelers and collecting sports memorabilia. I chose the LEGO Grand Emporium for my daughter, a $150 item and a Steelers Team Signed Football with certificate of authenticity, a $159 item for my son. Since making my purchase, the price of the football has increased to $199! Vistaprint - 10 FREE Holiday Products & Gift Ideas! This year take care of all of your holiday shopping at once with 10 Free Holiday Products from Vistaprint! Everyone on your list will love customized holiday gifts and you will love saving money and time on all of your holiday card and gift needs. Choose from Flat and Folded Holiday Cards, Wall and Desk Photo Calendars, Holiday Postcards, Totes, Holiday Labels, Mugs, Stamps, & Business Cards. Products are FREE, pay only for shipping & processing. Order today; receive in as few as 3 days! FREE Holiday Labels (Qty. 140) Spread the cheer with every letter you send! 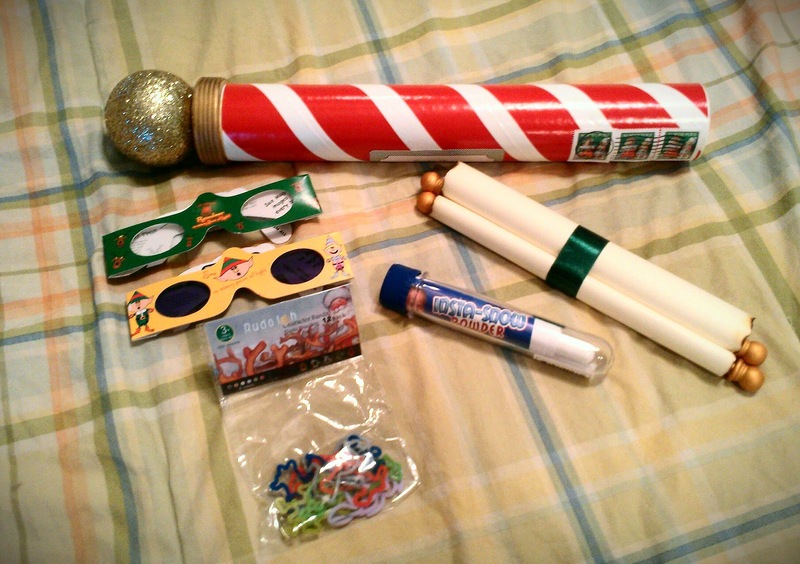 Stick your labels on festive holiday letters, cards and packages. Choose from thousands of designs, upload photos or create caricature return address labels. Create up to 7 caricatures of your family, friends and pets! 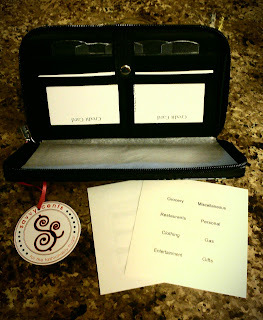 Use labels as To-From stickers, gift tags &; more! 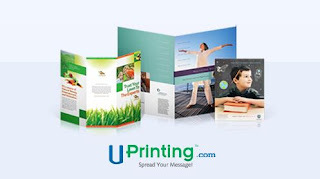 Printing is free, shipping & processing starts at $3.07. I want to thank everyone who entered my Peeled Fruit Snacks Variety Pack Giveaway. I would also like to thank the giveaway sponsor for providing this great giveaway for my readers. My favorite Christmas cards have always been photo cards. I love getting family photos and pictures of children that I don't get to see on a regular basis throughout the year. I'm always stunned at how much the kids have grown and changed over the course of a year. Tiny Prints has an amazing selection of holiday and Christmas cards. With so many options, your Christmas cards are sure to stand out and be a favorite among family and friends. Are you ready for all of the great Black Friday deals and savings? Last year I went shopping with a friend and we had so much fun and saved a ton of money! Check out all the ads and deals for Black Friday at AFullCup.com and plan your shopping trip with coupons for maximum savings. You can also check out a few direct links to some great discussions about some of the Black Friday deals for CVS, Walgreen's, Target and Walmart. Will you be shopping on Black Friday? I'm so excited to have just gotten another 25 Superpoints win! 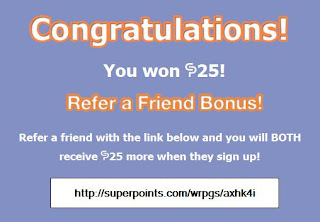 In addition to this win comes a 25 Superpoints BONUS to one other lucky person who joins. It's only good for one use, so once it's been used it's gone!